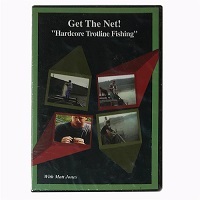 An instructional DVD filled with tips and techniques on Trotline Fishing for all speciaes of catfish. Also included: "How to dress Catfish - Fast" 1 Hour and 50 minutes in length. Join renown commercial fisherman Mark Hewgley for some exciting trotlinin' action with in-depth segments on building your trotline to catchin' bait to catchin' fish. Great underwater camera footage included! 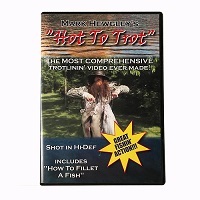 Shot in Hi-Def and includes "How to fillet a fish". 1 hr 14min.